Review: London Vagabond – the Life of Henry Mayhew by Christopher Anderson. Apologies, this review is almost a year late. More overdue than this by far is a proper treatment of the life of Henry Mayhew (1812 – 1887). Thankfully Christopher Anderson spotted this sorry oversight on everyone’s part and set to the task almost 10 years ago resulting in this biography. 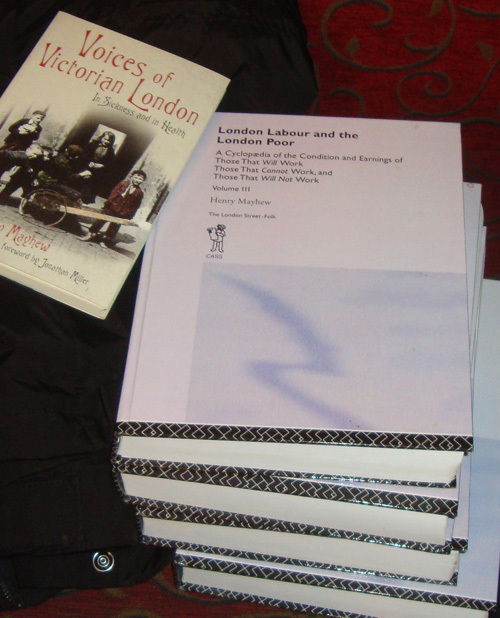 Mayhew was a prolific writer, most famously of his magnum opus London Labour and the London Poor (1861). That was a book derived of journalism, but ‘Harry’ Mayhew was also a begetter of comedy, satire, novel and play. In his pomp, he was as well known as his exact contemporaries Dickens and Thackeray. But ultimately – like Dr Johnson – he was remembered more or less for one work when there was so much more. Frequently impecunious, he would often complain that his early play The Wandering Minstrel attracted £200 per annum in royalties for decades after he sold the rights for £20. The one other thing for which Mayhew is well known (if at all), is as the founder of Punch magazine, in 1841. Some would add founding editor too, though this is something which some of his contemporaries dispute. Certainly, it was his brainchild, having a few years earlier also started its less successful predecessor Figaro in London, with his friend Gilbert à Becket. His relationship with Punch was short but fascinating. When moneyed, respectable owners had to be found to save the magazine, one of the conditions was that Mayhew was jettisoned; he was just too unpredictable, too much of a loose cannon: the magazine needed stability, a word nobody could associate with the mercurial writer. A constant theme in Mayhew’s life was trouble with money. While he knew what he was worth as a writer and frequently pulled down substantial earnings, more often he was in debt, a bankrupt. 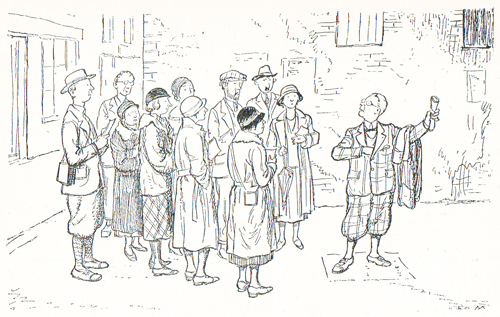 He spent at least three spells in debtors’ prisons, others in the sponge house (the staging post to debtor’s prison). Self-imposed exile in Wales, Paris and Germany to avoid his creditors, the bailiffs and the law. Sometimes but not always, he was bailed out by family, friends or – humiliatingly – The Royal Literary Fund (he applied to them twice). His long-suffering wife Jane and children Amy and Athol had perforce to share these hardships. Worse, on one occasion he allowed his younger brother Gus to take the rap in the debtor’s prison on his behalf. Clearly, Henry Mayhew was a careless man, irresponsible to say the least, amoral even. But talented, hardworking, naïve, deeply amusing and the object of devotion from a very small group of friends and admirers. He always had a plan up his sleeve to get him out of the soup. More often than not, these failed. One is reminded a little of Mr Toad. Something of a polymath and like many Victorian men of affairs, Mayhew was deeply interested in science. A devotee of Humphry Davy and in particular Michael Faraday, he conduced many a dangerous experiments at home, primarily in the pursuit of creating artificial diamonds. Like many a Mayhew pursuit, these literally turned to dust. I hope you can see so far that this is a lively biography which succeeds in bringing the real Henry Mayhew into our lives. We are also introduced to his rather large family of siblings, in-laws, wife and children, interesting individuals themselves, in particular brothers Horace (Ponny) and Augustus (Gus), who both became writers like Henry, much to the chagrin of their terrifying father Joshua (like Dickens, Mayhew bore a deep antipathy towards the legal profession). 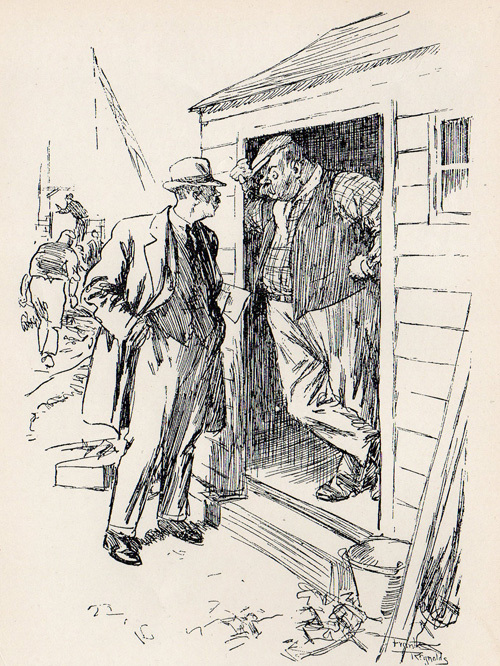 Ponny carved out a long and successful career at Punch while Gus frequently wrote in partnership with Henry as the Brothers Mayhew: the name was a strong brand at the time. London Vagabond connects us to the creative world of the mid 19th Century London intellectual scene. 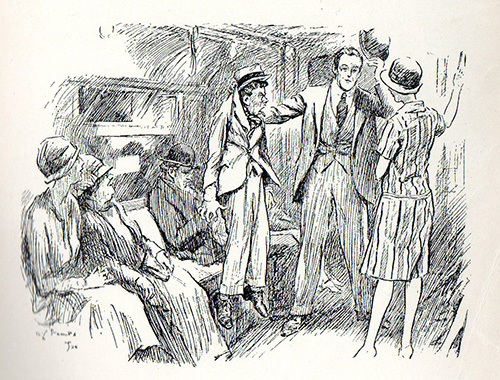 Mayhew worked directly or rubbed shoulders with writers, illustrators, publishers, printers, actors, playwrights, radicals, Chartists; Dickens and Thackeray as we have seen, but also Douglas Jerrold, George Cruickshank, Mark Lemon, George Sala, Henry Vizetelly, Joseph Paxton and dozens more; plotting, scheming, drinking, laughing, networking. The titles for which Mayhew wrote at one time or another were almost uncountable, but the author’s meticulous research has revealed them, along with Mayhew’s improving books for children (e.g. biography of Martin Luther) and unclassifiable genres all his own. I found particularly interesting some of his late stuff on Germany: 1) Hilariously intemperate travel guide involving living among the Saxons 2) Dangerous reportage of the 1870 Franco-Prussian war – Mayhew was a fearless reporter. Portrait of Mayhew from London Labour and the London Poor, 1st Ed, 1851, aged about 39. One senses that the author has read every piece of Mayhew writing he could lay his hands on, both by the man himself and other parties. He quotes substantially and frequently. I would estimate that possibly as much as 20% of the text is quotations. They are always apposite and enriching. Sometime I hope to catch up with Mayhew’s other major London work, the Great World of London and indeed some other of his now forgotten writing which sound marvellous. This is an excellent Life and I would warmly recommend it to all, whether established Mayhew fans like myself or indeed those coming across him for the first time. London Vagabond – the Life of Henry Mayhew is written and published by Christopher Gangadin Anderson. 409 pp (of which 46 pp are index, bibliography, end notes etc.). It costs around £10. 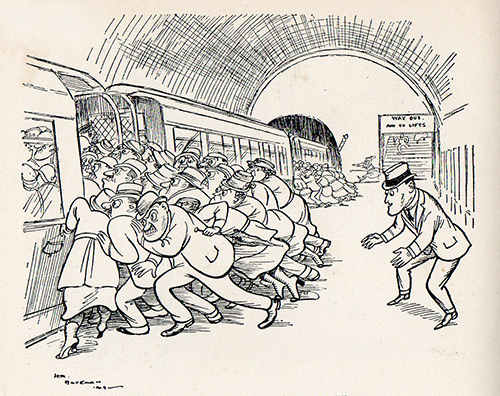 These cartoons featuring London Underground were published in Punch magazine during the early decades of the 20th Century. THE UNDERGROUND’S NEW INTERPRETERS MEET THEIR BANNOCKBURN. 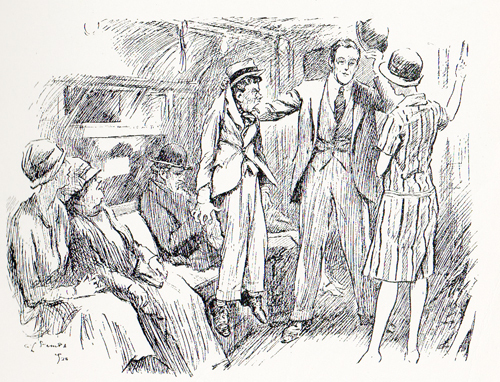 (30 May, 1923) by Arthur Watts. THE PERFECT PASSENGER. By D.L Ghilchik. FORCE OF HABIT – THE SCRUM HALF. 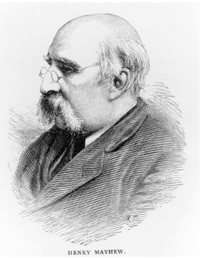 Henry Mayhew in old age: kindly walrus. Today is the bicentenary of Henry Mayhew (25 November 1812 – 25 July 1887). This was written in 1850 by Douglas Jerrold, Mayhew’s friend, collaborator and father-in-law at a time when Henry Mayhew would have been collating the first edition of London Labour and the London Poor (1851). Jerrold was mainly wrong, because today Mayhew is all but forgotten. This is a great pity, because the writer was hugely influential in his own time, not least among his near-exact contemporaries, Charles Dickens (b 1812) and William Makepeace Thackeray (b1811). 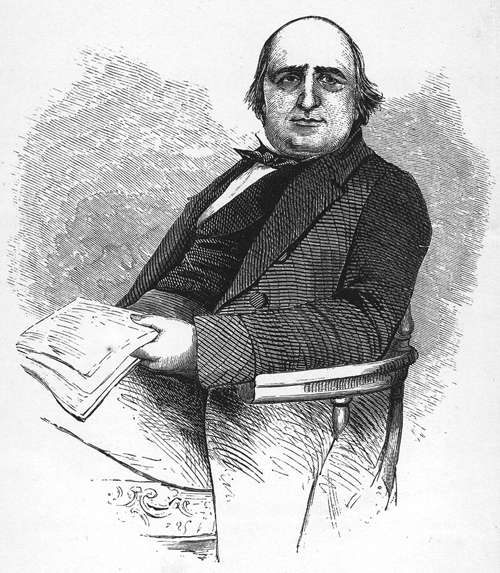 Mayhew, a journalist (he and Dickens both worked as reporters for the radical Morning Chronicle), novelist, playwright and comic writer, was responsible for telling historians a great deal – probably most – of what we know about the lives of the poor and destitute in London in the mid-19th Century. 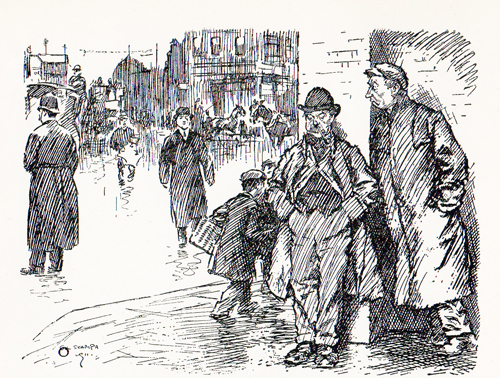 He not only provided heart-rending (albeit far from relentlessly unamusing) pen-portraits of the poorest men, women and children eking out an existence in the streets: he provided his own estimates and data as to their numbers, earnings etc. – the curtain-raiser if you will to Charles Booth’s work a generation later. That’s his value to the historian. But Mayhew’s greatest achievement, one might argue, was to co-found Punch magazine in 1841, with Mark Lemon and Stirling Coyne. Although he only remained actively involved with the publication for a handful of years, it thrived and survived right down to our own times. Henry Mayhew illustration from the 1851 edition of London Labour and the London Poor, looking like an avuncular panda. Unlike Dickens, Mayhew joined the world with every advantage. His stern father, Joshua Mayhew, was a barrister. Henry was one of seventeen children and was sent to Westminster School. He was expected to follow Mayhew senior into the Law, as were his brothers: only one of them did. The upshot was that Henry could expect little financial support from that quarter. Indeed he had money worries throughout his life, actually going bankrupt in 1846. I’m pleased to see that Mayhew has been added to the list of famous Old Westminsters since last I looked. My favourite Mayhew story is of how he came to leave the school. In 1827 (he would have been almost 15), Mayhew was caught swotting from his Greek primer in Chapel. This was not through diligence on his part: he’d left things far too late and had been warned he was bound to fail the Greek “challenge”. The Master who caught him – one Hodgson who had a nephew scheduled to take the same paper – demanded that Mayhew write out 500 lines of Virgil by the following day. Mayhew ignored the demand and did quite well in the Greek challenge, beating Hodgson’s nephew. The affair was escalated to a more senior master, a Dr Goodenough. This master gave Mayhew an extension for the lines, but once again the boy failed to do them because he now had to cram for the Latin “challenge”, in which he came top. Exasperated, Goodenough – who seemed to be a likeable man – told Mayhew that he would have to flog him. Mayhew is reported to have replied: “…you know that I am not afraid of a flogging, for you have often flogged me, but this time I will not be flogged.” And with that he gathered up his books and walked out of the school. He went to sea. 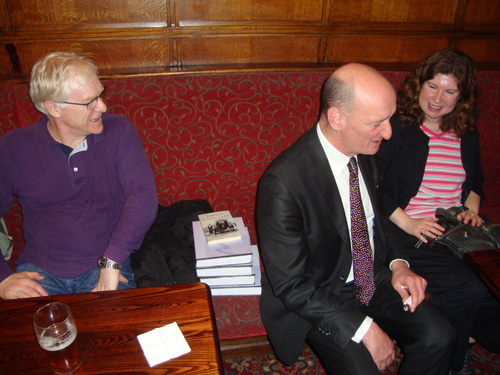 This incident sums up Mayhew – his brilliance, his impetuosity, his bravery. My thanks to Christine Reynolds, Assistant Keeper of Muniments at Westminster Abbey for finding and sharing this lovely story. Thackeray’s 200th birthday last year passed almost without notice. There have been bits and bobs this year to commemorate the bicentenaries of Augustus Pugin and Edward Lear. As for Dickens, well it’s been almost non-stop (apart from the Dickens Museum which has bizarrely been closed for upgrades since Easter). And Henry Mayhew? Nothing that I know of. So this evening a small group of us shall be raising a glass to his Life and his Memory. Join us at the Lyceum Tavern in the Strand from about 5pm! 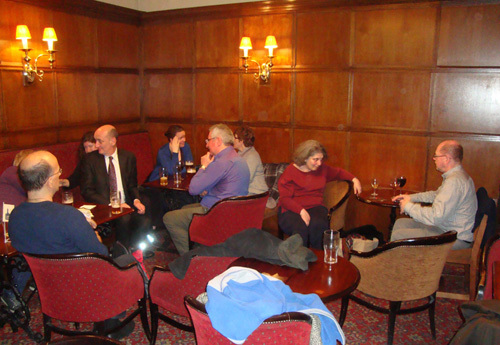 Well, with no expectations either way, about a dozen Mayhew admirers turned up for our little celebration in proper London Historians fashion. We did an appropriate toast and enjoyed a good several hours talking Mayhew and much else besides. Thanks to all those who came, especially Colin del Strother who brought his full set of LL&LP to park in the middle of us like a sacred text. But let’s not get too carried away! Henry Mayhew on Oxford Dictionary of National Biography (subscription required or via participating public libraries: I get mine via Hounslow). Regular readers will be used occasionally to reading funnies from an old Punch book in my possession. But open it up, and what’s this? That’s right. 3rd September 1939. My dad’s birthday. 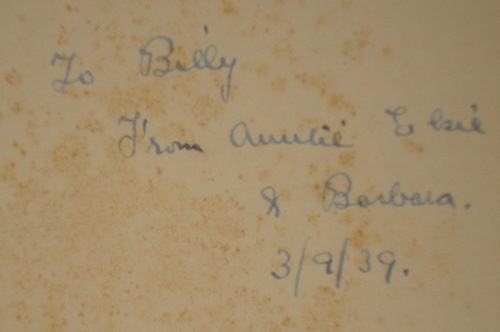 He’s Billy and he was nine that day. 82 today. Happy Birthday, Dad. 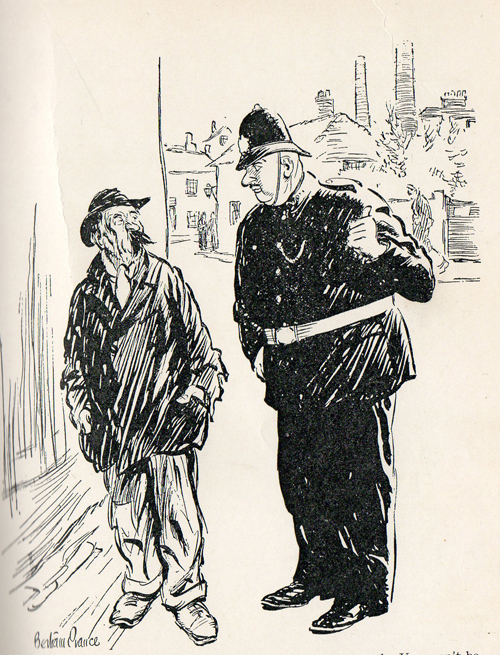 I feel duty-bound to share a few more funnies from the The New Punch Library. 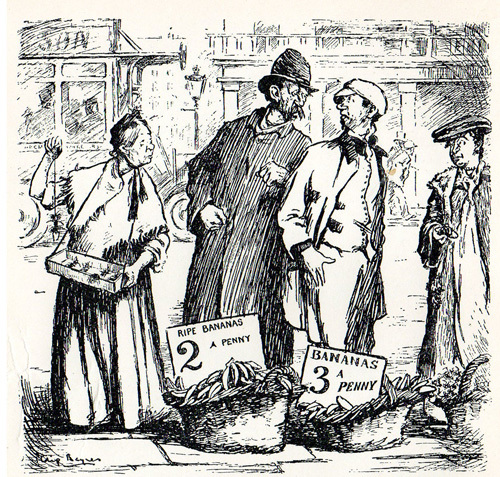 For it was today in 1841 that Henry Mayhew and Ebenezer Landells founded Punch magazine with an investment of £25. 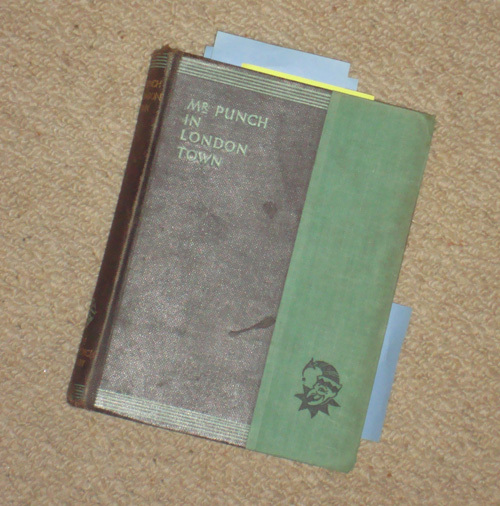 Originally called Punch or the London Charivari, Mayhew initially co-edited it with Mark Lemon before drifting off to leave Lemon at the helm for almost thirty years. 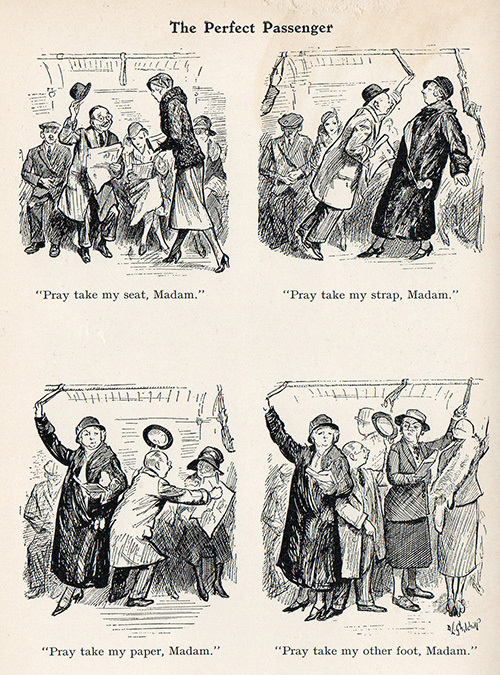 All these examples are early 20th Century, up until the 1930s. You can see my previous posts of Mr Punch in London Town from the New Punch Library here. And here’s one specially for London Historians members who are guides. 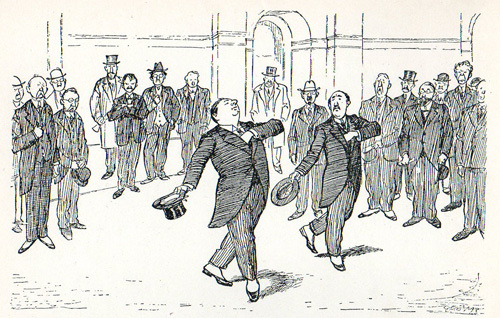 Presenting the cream of national humour contributed to “Punch” by our leading draughtsmen and humorous writers from the year 1900 to the present. TRADES UNION OFFICIAL: How many men have you got working here? FOREMAN: About 'arf of 'em. by Frank Reynolds. 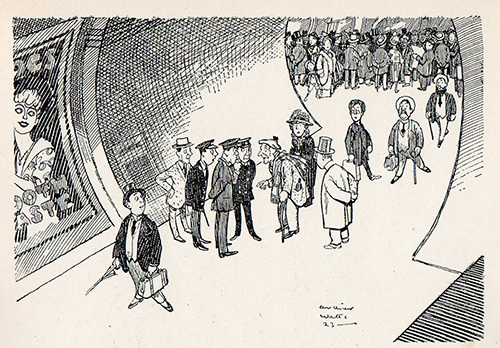 More funnies from The New Punch Library (c1930s, featuring cartoons from c1900 onwards). We note the over-worked theme of uniformed or authority figure playing the straight man with crafty cockney type playing the foil. POLICEMAN: We want you to take part in an identity parade. You won't be kept five minutes. LOAFER: They told me that yarn before. 'an I was kept six months. by Bertram Prance. 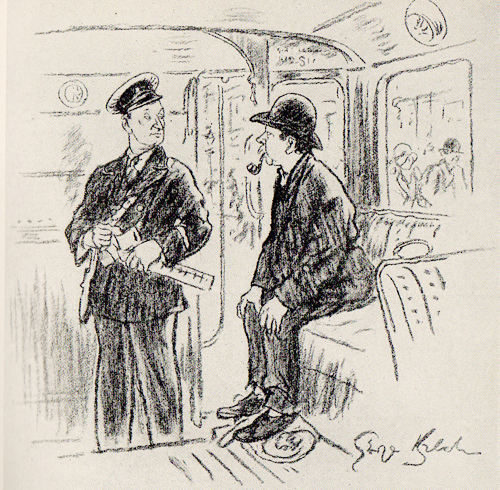 The next one possibly apt given the current news on Boris’ new Routemasters. Back to the heavy traffic and woman driver set-up. But not only that, it’s a class thing. 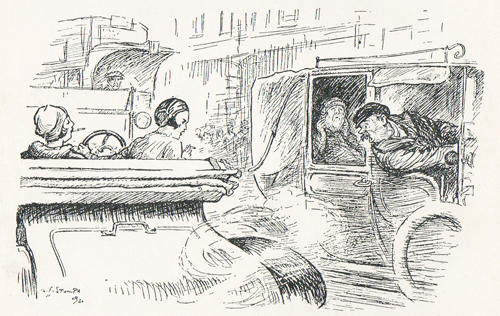 While many working-class men drove (chauffeurs, bus drivers, cabbies etc.) only posh gals could afford to drive cars.